Made in just 30 minutes on an HP Jet Fusion 3D Printer, this plastic chain link can lift 10,000 lbs. HP Metal Jet's combination of speed with strength and physical properties changes all the rules. Parts that were previously impossible to create by machining or molding techniques are now possible. The ability to quickly produce quantities of real working parts and even part assemblies is a total game-changer. Produce functional parts in full color, black, or white — with voxel control and incredible part quality. 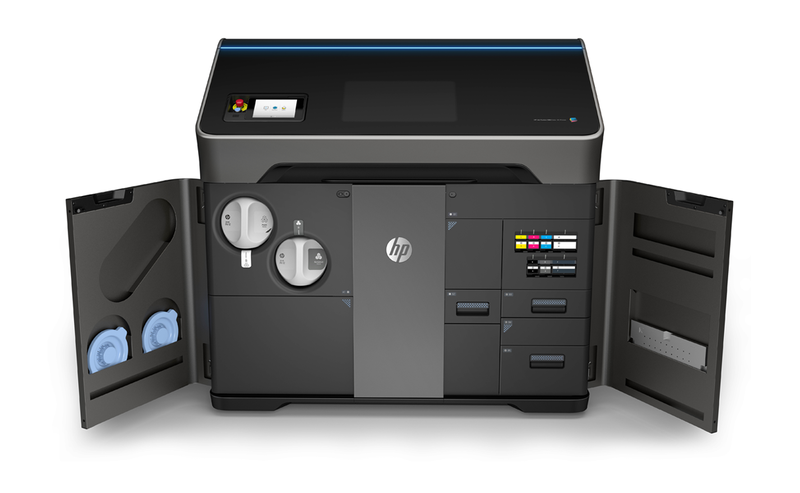 The cost-effective HP 3D printers are tailored for small/medium-sized product development teams, design firms, hospitals, and universities. Now you can make prototype and short-run production parts in-house in less than a day. 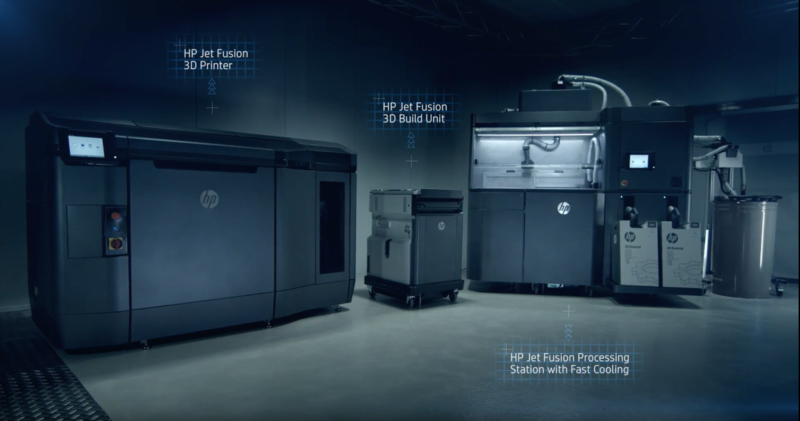 Introducing the HP Jet Fusion 3D Printing Solution, comprised of a printer, build unit and processing station with fast cooling. With a more efficient 3D printing workflow. Now you can deliver functional parts, up to 10 times faster, at the lowest cost. 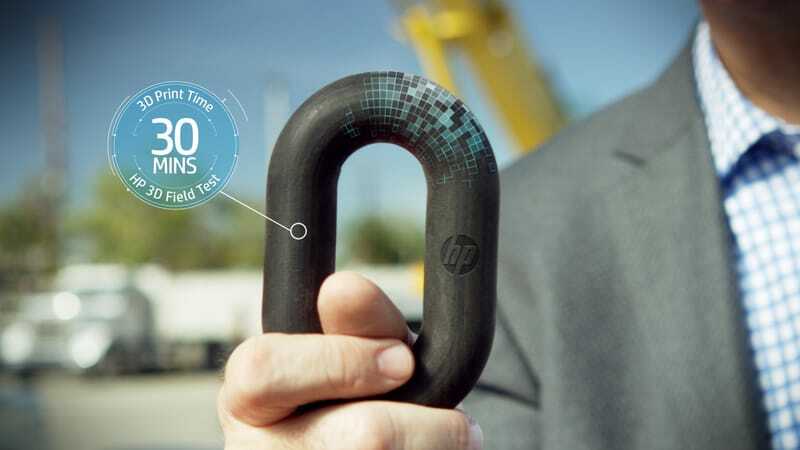 HP Jet Fusion 3D Printing Solution delivers dimensional parts with extreme accuracy 10 times faster than conventional fused deposition modeling (FDM) or selective laser sintering (SLS). HP Jet Fusion 3D Printing Solution produces parts at half the cost of conventional fused deposition modeling (FDM) or selective laser sintering (SLS). A voxel is similar to a pixel with depth, a three-dimensional pixel. 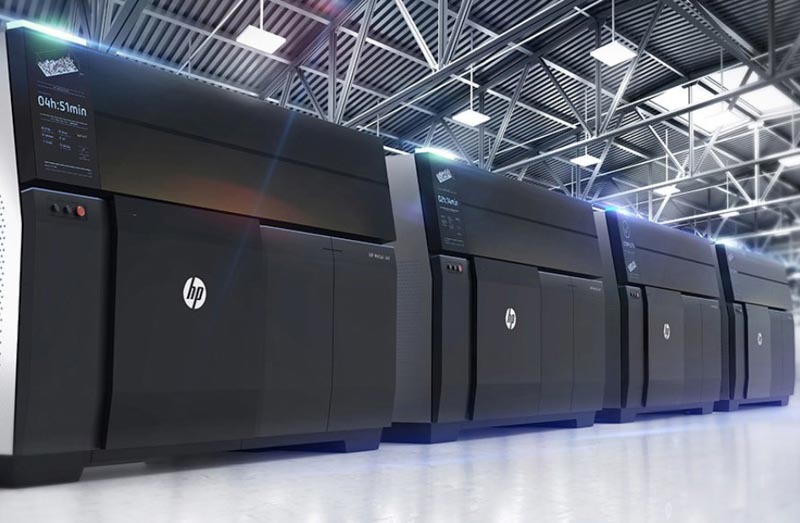 The HP Jet Fusion 3D Printer can place 340 million voxels per second. Each voxel is less than ⅓ the width of a human hair. Book A MachineMetrics Demo Today!